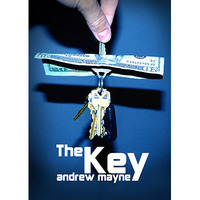 Today, when you order "The Key (Gimmick and DVD) by Andrew Mayne - DVD", you'll instantly be emailed a Penguin Magic gift certificate. You can spend it on anything you like at Penguin, just like cash. Just complete your order as normal, and within seconds you'll get an email with your gift certificate. Borrow a bill from a spectator. Stab a key on your keyring through the bill and rip it out. Miraculously the bill is undamaged! The Key is ready on your keyring anytime you need it! 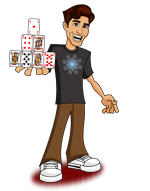 Key through Playing Card: Puncture and restore a selected card! Key through Jacket: A version of the classic knife through jacket effect that fits in your pocket. Key biter: Bite the end off a key and then instantly make it reappear. Includes everything needed to perform and a 20 minute instructional DVD with additional routines. The Key is great. Personally, I like it better than ignition. I've played with it only at home. Not sure how it will hold up during an act. We'll see. So far, no complaints here. I do not have anything nice to say about this product. I totally regret buying it. Stay away from this product. Save your money. i bought this cause it looked great on the video, it was a neat alternative to pen thru dollar.. but it lasted me like 3 minutes of playing.. the gimmick fell off.. and i couldnt find it again.. so yeah.. i am going to buy ignition, it is twice the prize but as i have heard the gimmick is reliable.